Creates a number of wires that travel through various target objects. Useful for making bundles of wires for robots or other mechanical devices in a few simple clicks. 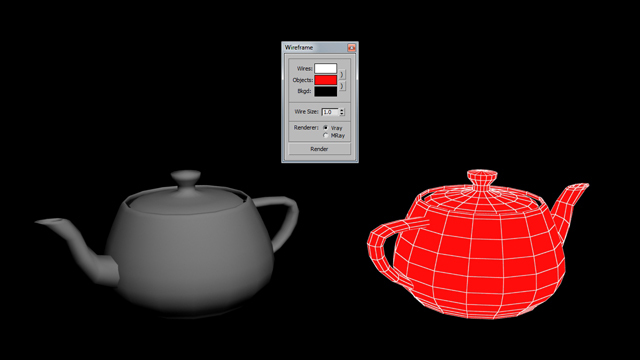 Make 3 spheres anywhere in the viewport. Select all 3 spheres. Run the UI version of the script. In the wirebundler interface, click on "Add select to target list". Click Apply. It will make 10 splines, each the vertex of each spline will exist inside one of the 3 spheres. Play with the settings to get different effects. your object with its smooth wire. This script will apply a wirecolor to the selected obects using a gradient starting dark then getting lighter towards the end of the selection.